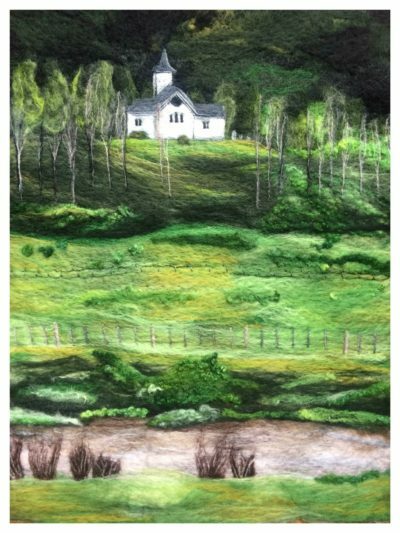 Hi, my name is Sara and I am originally from New Zealand, but now live in the Highlands of Scotland. 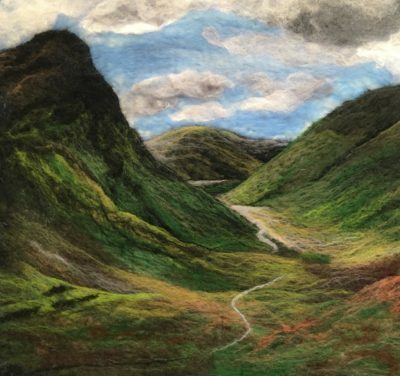 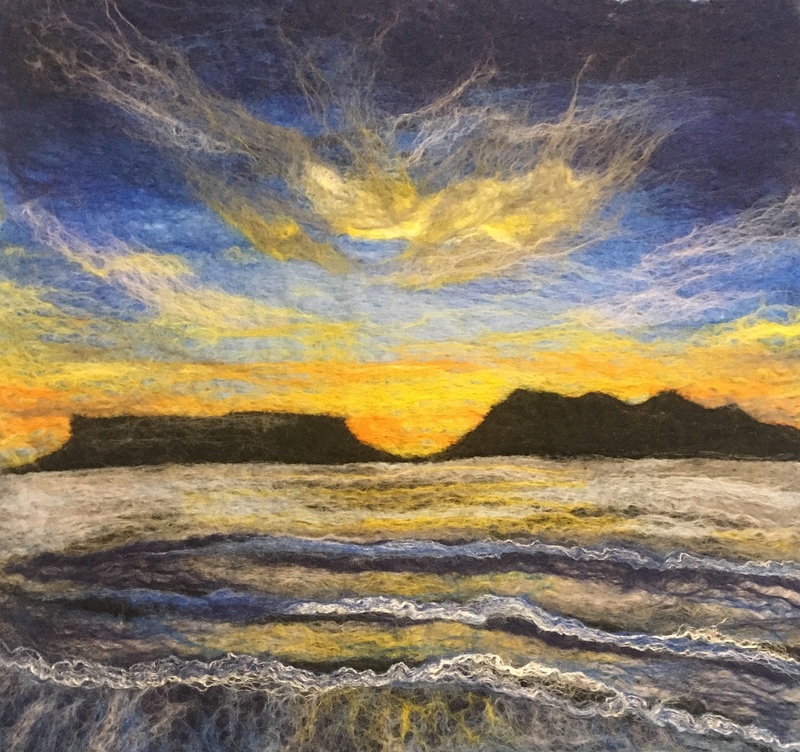 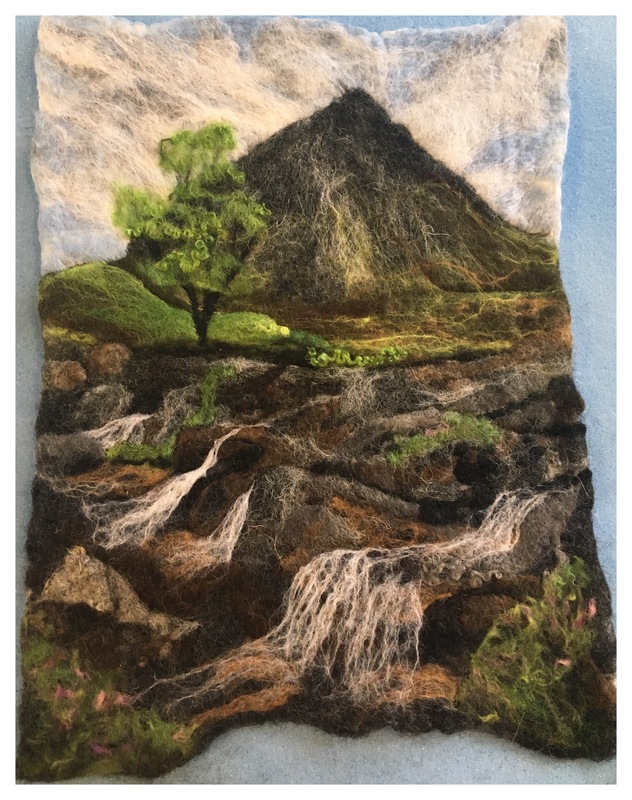 I have been felting for 2 years and focus mostly on felt paintings. I also enjoy making scarves, hats and bowls and regularly run workshops from my home.